The Department of English offers the B.A. in English as the cornerstone of the studies of the humanities. The study of literature and the English language provides students with a source of personal enrichment as well as with verbal, analytical, and cultural skills that are readily adaptable to a variety of careers. The department offers a curriculum designed to meet a variety of interests: literature, creative writing, technical and professional communication, rhetoric, and folklore. Students can prepare for graduate study as well as careers in teaching, business, government, or law. The Department of English has a strong commitment to providing academic and career planning and advising designed to assist the English major in entering the profession of his or her choice. The department also offers minors in Creative Writing, Literature, Rhetoric and Professional Communication, and Medieval and Early Modern Studies. 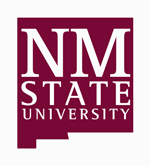 The English Department at New Mexico State University offers the Master of Arts Degree with an Emphasis in Rhetoric and Professional Communication. The program prepares students for further study at the Ph.D. level and for employment in a variety of fields including teaching, technical communication, and professional writing. The emphasis allows students to take courses across the wide range of topics within rhetoric and professional communication and to choose from one of four areas of specialization: Composition, Critical/Cultural Studies, Professional and Technical Communication, or Rhetoric. The doctoral program in Rhetoric and Professional Communication at New Mexico State University is designed to prepare students for careers in business and industry or in college and university teaching. The program welcomes applicants from a variety of backgrounds and with working experience as well as strong academic records. This program is intended to accommodate students with a broad range of interests and professional goals. An applicant’s interdisciplinary interests must relate to fundamental issues in rhetoric and professional communication.